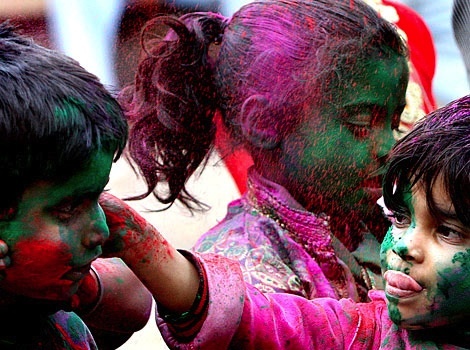 Red, blue, green, yellow….. bring on the colours, aaj Holi hai !!! 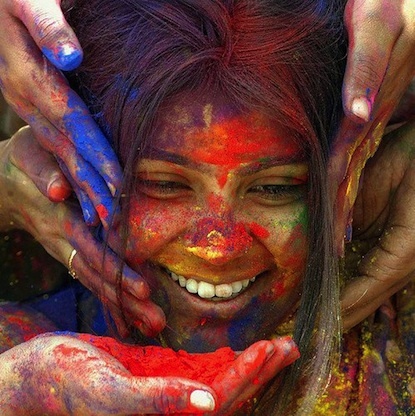 It’s time to welcome Spring and drench the world in colours of joy and laughter, love and romance! Today we let go of old grudges and embrace our neighbours and friends. Today we let love spring in our hearts. 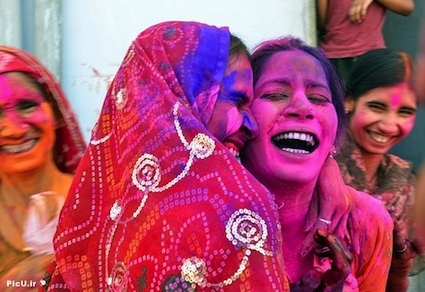 Many a colourful tales of Krishna and the milkmaids playing Holi in Vrindavan have inspired poets and artists for centuries. And Bollywood movies! 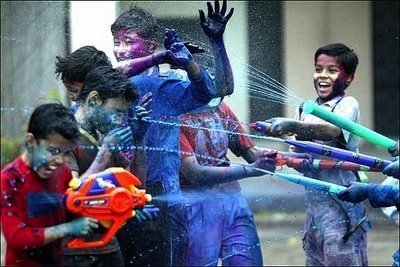 There isn’t a festival to rival Holi for its sheer abandon. It’s the one day when a rather conservative society lets its hair down and men and women, girls and boys together join in the revelry. And because a picture is worth a thousand words….. 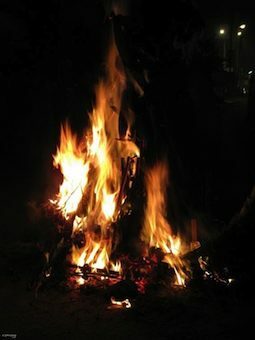 When the full moon rises tonight, bonfires will be lit in every square and street in India, signaling the end of winter. As the dead wood and odd scraps of old furniture and other household bits go up in flames, it will be time to say goodbye to the old and hello to the new. Darkness will give way to light and the cold will be replaced by warmth. Everywhere you look you will find faces lit up with a sense joy and wellbeing. 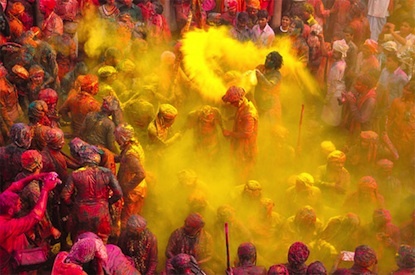 Grains and coconuts will be offered to the Holi, the bonflre, as thanks for a plentiful harvest. In some parts of India, especially in the North, this will be followed by singing into the night to the beating of the dhol. And all little children will be told the story of a brave young boy who cheated death. When good once again triumphed over evil. Once upon a time there lived an evil King Hiranyakashyap. He proclaimed he was the only God and that his people worship him alone and no one else. But there was one little boy Prahlad, the king’s own son, who refused to do so. 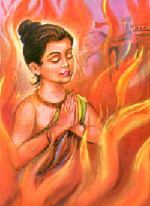 Prahlad told his father that he would pray to no one but the Supreme Lord Vishnu. Hiranyakashyap threatened and tortured Prahlad but nothing would shake Prahlad’s faith. So his father decided to kill him. However, every plot to kill the boy would fail as Vishnu would intervene. Exasperated the King asked his sister Holika to kill Prahlad. Hollika had a boon. She could not be touched by fire. Knowing this Holika sat Prahlad on her lap and set fire to herself. She had forgotten though, that the boon held true only if she entered the fire alone. So it was Holika who burnt to ashes and Prahlad escaped unscathed. In Indian myths good always triumphs over evil but this story has another important moral. That which you use to destroy others will eventually destroy you. Tomorrow morning we welcome Spring by painting the town red and green and blue and every other colour. 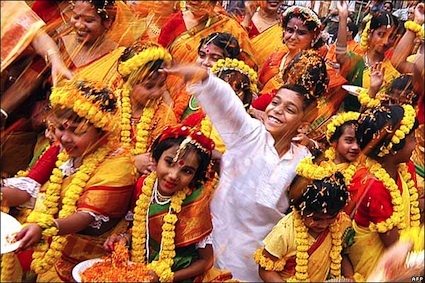 Hinduism for Children will now be called All About Hinduism to include the adults too. All else remains the same. Keep reading !! While Brahma, Vishnu and Shiva uphold the laws of the Universe, the Goddesses, Laxmi, Saraswati and Parvati are the soul, the colour and joy of the Universe. Dressed in luxurious silks and adorned with gold ,Laxmi is the resplendent goddess of wealth. 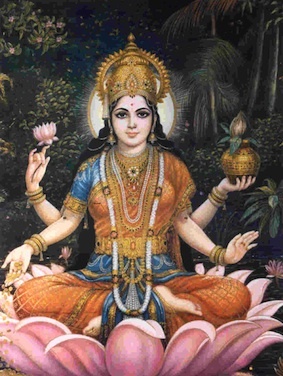 Seated on a full bloomed lotus flower she showers wealth and glory on her devotees. 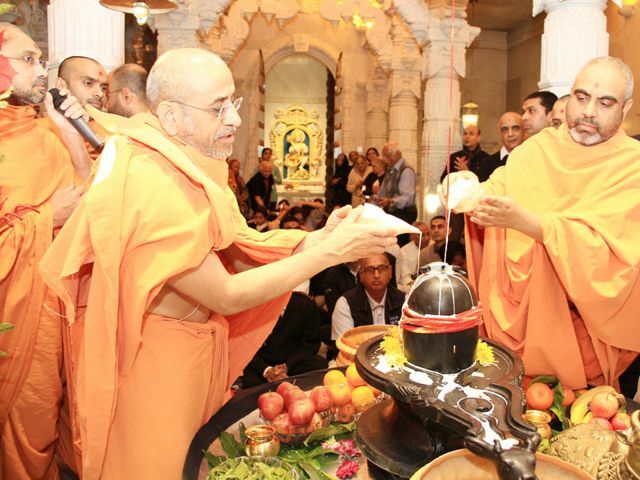 A cascade of gold coins flows from one hand while the other is raised in blessing. 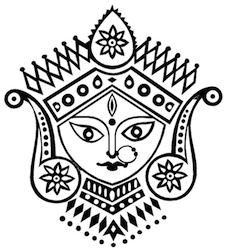 Her four hands signify the four goals of human life: dharma or Truth, Arth or wealth, Kama or desire and Moksha or liberation. Laxmi’s name is derived from the Sanskrit word “lakshmye” which means ‘goal’ or ‘purpose’. Laxmi is the giver of not just material wealth but spiritual wealth, glory, virtue, greatness and joy. All the goals sought by human beings. The desire to seek these things drives Creation and keeps the wheel turning. 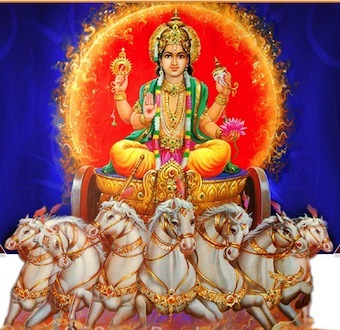 Hence, while Vishnu is the source of all creation, Laxmi his wife is the driving force behind it. The Creation comes from Vishnu but Laxmi his wife represents its abundance. She represents the ‘wealth’ of Nature. During the Samudra Manthan, when the asuras and devas were churning the Milky Ocean to obtain the nectar of immortality, many treasures rose from its foaming waves. 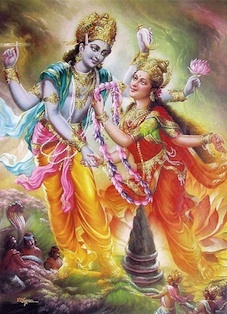 One of them was Laxmi, borne on a full bloomed lotus flower, wearing red and gold clothing, holding in one hand a jar of gold and in the other a lotus bud. The devas and the asuras watched, mesmerized, as this divine beauty rose from the waters. Her radiance it is said, dazzled heaven and earth and all living beings. With a smile on her lips, Laxmi stepped gracefully on to the shore, her anklets tinkling. Like a golden creeper swaying gently in the breeze she made her way through the crowds that had now gathered to see her. As she walked past everyone sought her attention but Laxmi was looking for someone else, someone more worthy of her. 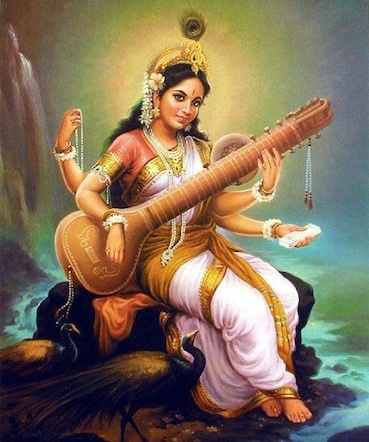 Then she spotted Vishnu, bright as a thousand suns and she knew him at once to be Narayan, he who grants salvation. In him all things came to rest. His virtues were eternal. He was beyond the failings of mere mortals and even the gods. 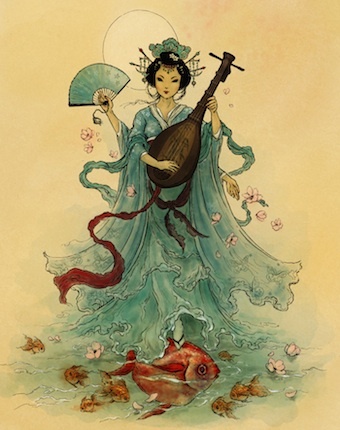 So she walked up to him and placed a garland of lotus buds around his neck. In the Vedic times it was the women who chose their husbands by placing a garland around their necks. It was called Swayamwara. Having chosen her groom she stood by his side, bashful and poised and became Vishnu’s ardhangani, his other half. Now they were complete as Laxmi-Narayan. Laxmi is worshipped daily in Hindu homes and offices but particularly during the festivals of Diwali, Navratri and Kojagiri purnima. 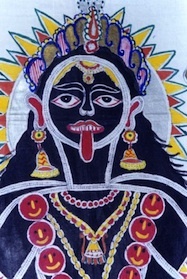 Laxmi is also a form of the Mother Goddess, the Devi or Shakti, which I will talk about in another post dedicated to the Devi. 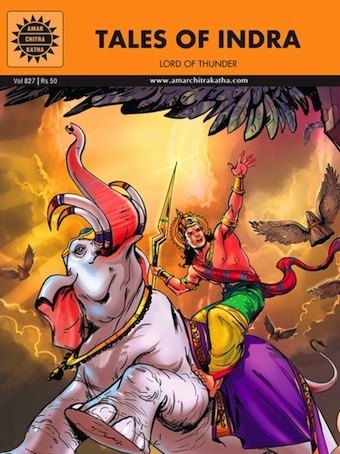 On the occasion of Shivratri I have to share with you a story so beautifully told, it moves me every time I read it-The Great God Shiva from The Cradle Tales of Hinduism. I was planning to read it with my nine year old today and thought all you readers would enjoy it too. Read it today or bookmark it for another day .It’s a delightful little gem. Written by Sister Nivedita, in her inimitable style, it captures the essence of Mahadev, The Great God Shiva, like no other story. Her style reminds me of my grandmother’s stories. For both Sister Nivedita and my grandmother spoke of the gods as if they knew them personally. And there in lies the charm. by Sister Nivedita, a disciple of Swami Vivekananda. In wild and lonely places, at any time, one may chance on the Great God, for such are His most favored haunts. Once seen, there is no mistaking Him. Yet he has no look of being rich or powerful. His skin is covered with white wood-ashes. His clothing is but the religious wanderer’s yellow cloth. The coils of matted hair are piled high on the top of His head. In one hand He carries the begging bowl, and in the other his tall staff, crowned with the trident. And sometimes he goes from door to door at midday, asking alms. High amongst the Himalayas tower the great snow mountains, and here, on the still, cold heights, is Shiva’s throne. Silent-nay, rapt in silence-does He sits there, absorbed and lost in one eternal meditation. When the new moon shines over the mountain-tops, standing above the brow of the Great God, it appears to worshipping souls as if the light shone through, instead of all about Him. For He is full of radiance, and can cast no shadow. Wrapped thus into hushed intensity lies KaiIas, above Lake Manasarovara, the mountain home of Mahadeva, and there, with mind hidden deep under fold upon fold of thought, rests He. With each breath of His, outward and in, worlds, it is said, are created and destroyed. Yet He, the Great God, has nothing of His own; for in all these that He has created there is nothing-not kingship, nor fatherhood, nor wealth, nor power-that could for one moment tempt Him to claim it. One desire, and one alone, has He, to destroy the ignorance of souls, and let light come. It is, however, by the face of the Great God that we may know Him once for all, beyond the possibility of doubt. One look is enough, out of that radiance of knowledge, one glance from the pity and tenderness in His benign eyes, and never more are we able to forget that this whom we saw was Shiva Himself. It is impossible to think of the Great God as being angry. He “whose form is like unto a silver mountain” sees only two things, insight and want of insight, amongst men. Whatever be our sin arid error, He longs only to reveal to us its cause, that we may not be left to wander in the dark. His is the infinite compassion, without one shadow or stain upon it. In matters of the world, He is but simple, asking almost nothing in worship, and strangely easy to mislead. His offerings are only bael-leaves and water, and far less than a handful of rice. And He will accept these in any form. The tears of the sorrowful, for instance, have often seemed to Him like the’ pure water of His offering. Once He was guarding a royal camp at night, when the enemy fell upon Him, and tried to kill Him. But these wicked men were armed with sticks of bael-wood, and as they beat Him again and again with these, He, smiling and taking the blows for worship, put out His hand, and blessed them on their heads! He keeps for Himself only those who would otherwise wander unclaimed and masterless. 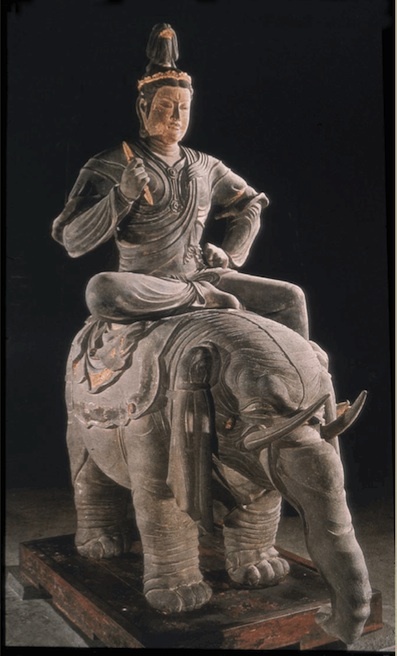 He has but one servant, the devoted Nandi. He rides, not on horse or elephant, but on a shabby old bull. Because the serpents were rejected by all others, did He allow them to twine about His neck. And amongst human beings, all the crooked and hunchbacked, and lame and squint-eyed, He regards as His very own. For loneliness and deformity and poverty are passwords sufficient to the heart of the Great God, and He, who asks nothing from anyone, who bestows all, and takes nothing in return, He, the Lord of the Animals, who refuses none that come to Him sincerely, He will give His very Self, with all its sweetness and illumination, ‘merely on the plea of our longing or our need! Yet, this is not the only form in which Shiva may come to the soul of man. Sometimes the thing that stands between us and knowledge is unspeakably dear.The Great God is ever the Destroyer of Ignorance, and for this, when our hour comes, He will arise, as it were, sword in hand, and slay before our eyes our best beloved. In the middle of His brow shines forth the great Third Eye of spiritual vision, with which He pierces to the heart of all hypocrisy and shams. And with the light that flashes from this eye, He can burn to ashes at a glance that which is untrue. Two things there are which we see as God. One is knowledge, insight- Jnana, as it is called in India , and this, carried to its utmost height, is Shiva or Mahadeva. But some see God rather in power, energy, beauty, the universe about us. Indeed, without both of these, either becomes unthinkable. 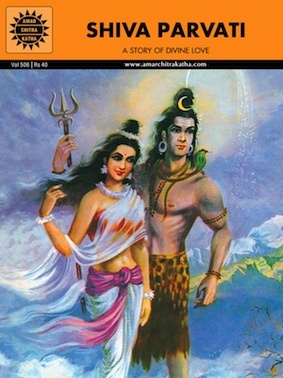 Hence Shiva has ever a consort in Maha Shakti, the Primal Force. Amongst the pictures made, and the tales told, of Her, are those of Sati, and Vma, and the Great Death. She is Gauri, the Golden One, the fair, the light of the sunrise shining on the mountain snows. And she dwells ever in Kailas , as the wife and devoted worshipper of that Mahadeva, or Spiritual Insight, who goes amongst men by the name of Shiva, the Great God. Tomorrow is an important day in the Hindu calendar. It is Maha-Shivratri- the Great Night of Shiva. 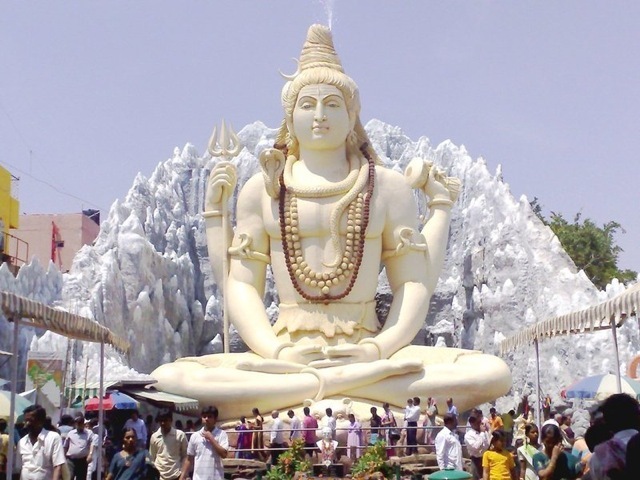 Shivratri is celebrated with great fervour across India, Nepal, Mauritius and parts of Indonesia every year, on the Fourteenth day of the month of Phalgun. It is the moonless night, in dark fortnight of the waning moon. 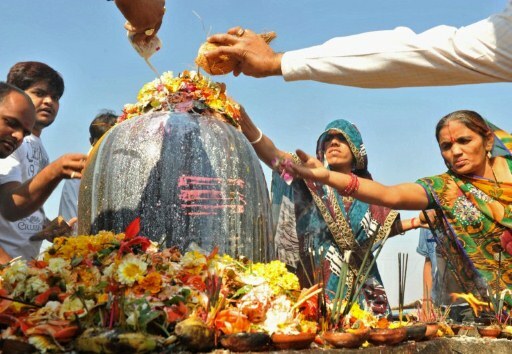 Millions of Shiva devotees will wake up today before dawn and make their way to the nearest Shiva temple, carrying with them offerings of water, milk,honey, bael leaves, fruits, flowers and incense. According to the ancient text, the Shiva Purana, Mahashivratri worship must include six items. Many will fast through the day and prepare themselves to keep vigil all night. This is the night to lose one’s self in thoughts of Shiva. Chants of Om Namah Shivaya will be heard in temples and ashrams all through the night. The story goes that it was on this day, that Shiva swallowed the deadly poison Halahal which rose from the Churning of the Ocean. The poison was so strong that Shiva had to be kept awake all night to stop him from losing consciousness. 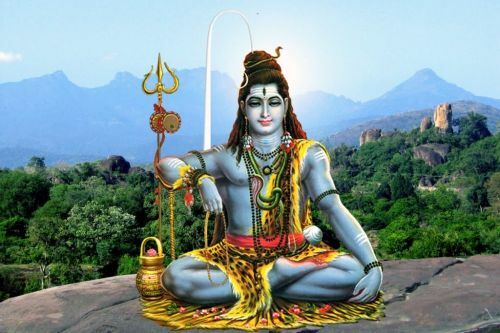 Hence tonight all his devotees will keep awake and remember the night Shiva chose to bear the intense agony of the poison in order to save the world. It is believed that the Great God Shiva( Mahadeva) will bless any devotee who seeks his blessing today and grant them their heart’s desire. Unmarried girls will pray to get husband as devoted as Shiva, married women will ask Shiva to bless their husbands with long lives, those seeking children will ask to be blessed with them, men will pray for Shiva’s strength and seek his protection. The twelve Jyotirlinga temples situated around India will see the biggest crowds. These stone lingas are said to be Swayambhu( appearing naturally,not man made) and belong to the pre-historic times. They are mentioned in ancient texts like the Puranas and are said to embody the Jyoti, the flame of Shiva. The temples were built around them much later.